The UK British Airways American Express cards come with one fairly massive benefit: when you spend a certain amount on them within a calendar year, you will get a “2-for-1” flight redemption voucher (or “companion voucher”). Put simply, the companion voucher enables you to redeem your Avios stash in any class, and then get an identical second reward ticket without spending a single additional Avios. You simply need to pay the tax and fees on both tickets. For example, I plan to use my current BA American Express companion voucher on a pair of return first class tickets from the UK to Japan. Given that the number of Avios required for this is 180,000 per ticket, that’s (obviously) a saving of 180,000 Avios. While the taxes for both tickets will be around the £1000 mark, it’s still an enormous saving. 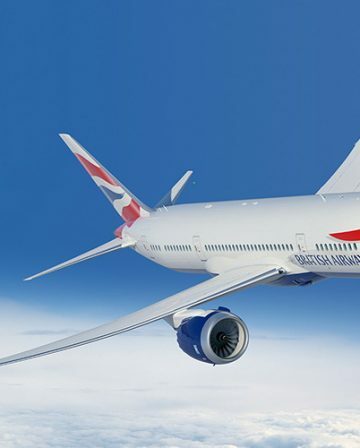 British Airways credit card offer – how do I get the “2-for-1”? If you get the free BA American Express card, in theory you need to spend £20,000 on it in a calendar year, to get the companion voucher. If you get the £195-a-year BA American Express Premium Plus card, you need to spend £10,000 on it in a calendar year, to get the companion voucher. How do I get this 2-for-1 voucher as cheaply as possible? 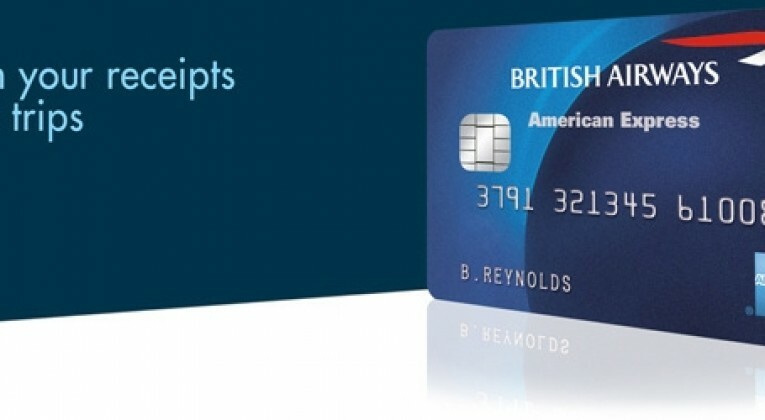 American Express are extremely flexible in letting you transfer between BA cards. As such, you can upgrade from the free card to the £195 card, and likewise downgrade from the £195 card to the free card, in a matter of hours. Crucially, you will get the companion voucher for a £10,000 spend, provided that you are holding the £195 card when that threshold is hit, or when you are over that spend threshold. Taking me as an example, I held the free card for 8 months or so, and I racked up a spend of over £10,000. As such, I switched to the paid card and bagged the companion instantly. I then immediately switched back to the free card for a refund of the £195 fee. The companion voucher is valid for 2 years from issue. Any other advantages to the free BA card? This particular British Airways credit card offer is one of the better ones out there. 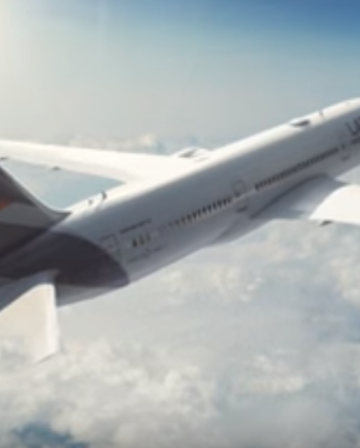 However, in addition to the BA American Express companion voucher, you will get 10,000 bonus Avios when you spend £1000 on the card in the first three months, if you get a referral. If you do not get a referral, you will get 9,000 Avios. To get a referral, simply sign up via this link. Is there any downside to this particular British Airways credit card offer? Yes, but only in the sense that you might be better off simply applying for the £150 card and sticking with it. In our suggestion above, you are starting out with the free card, which, as noted above, means you get a bonus of 10,000 Avios on a spend of £1000 in the first three months. Conversely, again if you are referred, the Premium card will give you a bonus of 26,000 Avios if you spend £3,000 on the card in the first three months (it’s 19,000 if you are not referred). You will also earn less Avios on the spend. 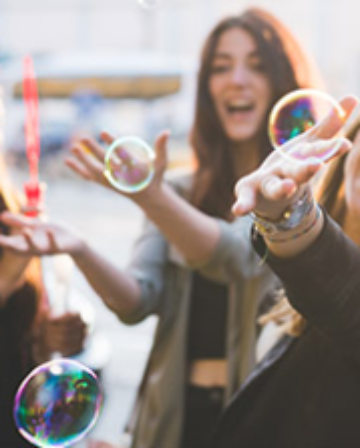 The Premium card gives you 1.5 Avios for every £1 you spend and 3 Avios for every £1 you spend direct with British Airways or BA Holidays, while the free card gives you 1 Avios for every £1 spent on it. I have wrestled slightly with this point and I really do not think it is. Personally, I have at all times been very open with Amex about what I am doing (I called them to discuss both when I upgraded and then downgraded, and they had no issue with my behaviour). Crucially, of course, it is entirely within their terms and conditions and they can of course refuse you for a different card should they deem your application inappropriate. Does one need to have a UK billing address for this offer? You can of course get the companion voucher on the free card, but you have to spend £20k rather than £10k, which is unlikely to make any economic sense (not least based on the extra Avios you get for the Premium Plus card). 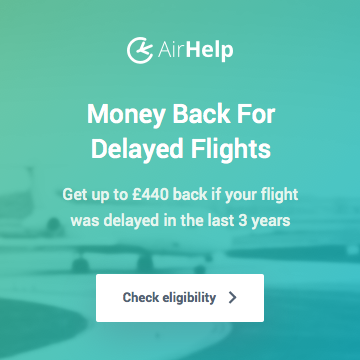 Having had more pro-rata refunds than I can remember, I can assure you it is very easy – when you phone to cancel, they will ensure the refund is arranged. By all means remind them, but they have always been proactive about it with me. I tend to then get the refund to the cancelled card transferred to another Amex card, which they can do very easily. I’ve done this the other way round. Took out the paid card last year, spent the £10,000, got the voucher, booked the flights and have changed to the free card. Got the pro-rata fee refund automatically. Interestingly my account now shows I now need to spend just under another £10,000 before the anniversary to get a companion voucher. When it was the paid card, I couldn’t earn another one before the anniversary. I guess this will be the 12 months validity companion voucher, so probably not worth me chasing it, but food for thought. I did that too and then got rid of the free card, took the Gold AMEX and earned the 20,000 points from them, got rid of that and have now reverted back to the Premium Plus on a mission to earn the 26,000 sign up bonus all over again! I have been told by the Amex agent that I have to hold the card that gained the Companion voucher when I check In for the reward flight. It is a BA Amex card. As the flight is 3 months away I have to wait before I can cancel the card and use an alternative card whilst I wait the 6 months to be referred to take up the BA Premium card as it offers the same reward scheme i.e. Avios. Is this true? Should I challenge Amex about the need to hold the card until I have taken the flight? Sorry Tom for my very late reply to your email. Following your instruction and taking out the free card, spending £10k and the switching to the paid card, if I was able to spend £3k very quickly on the paid card, do you think it would be worth it for the additional 16,000 Avios points? I am possibly missing something here, but if you took out the free card and have spent £10k on it, that will obviously have hit the £1,000 spend for the 10K bonus Avios. As such, switching to the paid card will certainly now get you the Companion Voucher, but I’m not sure it would get you the 26K Avios bonus (rather than the 10K bonus), even if you manage the £3k spend in the first 3 months (which I understand you are still within). It may, and it may be worth a call to Amex to try and get the additional points if it doesn’t, but ultimately you “applied” for the free card so your introductory bonus would, I believe, relate only to that. It’s simply not a position I’ve come across before, nor (understandably) is it covered in the ts and cs. In any event that’s pretty impressive spending in your first three months! Hindsight is of course wonderful, but given these incredibly high and fast spending thresholds, it would have made more sense for you to apply for the paid card from the off (for the guaranteed bigger bonus) and then downgrade – you would have received a pro-rata refund of the £195 fee. Happy to help further if I’ve misunderstood. I’ve had the Premium Plus card for years and currently have two companion tickets to use. However, I spoke with Amex and said that I might change to the card without the fee and asked if I could still use the companion tickets after downgrading the card. The agent said that I could only use the companion tickets if I kept the Premium Plus AND used that card to pay for the flights (I’m assuming he meant the taxes). However, this doesn’t seem fair given that I have spent so much and accrued the companion tickets and will be staying with Amex (who said life was fair). Does anyone know if this is correct, or is the agent just trying to avoid me counting against his targets to retain customers on the Premium Plus? If you downgrade from the paid card to the free card, not only do you keep the Companion Voucher, it also retains its 2 year validity (as opposed to the 1 year validity of the free card-generated Companion Voucher). Thank you Tom, I appreciate the response. I called Amex back and a different agent confirmed what you said and downgraded me. They’re raising a complaint to have my previous call listened to. Thanks again! No problem at all Craig, always happy to help. Hi Craig, thanks for this informative article. Do you need to call AMEX each time you want to upgrade and downgrade or is there a way to do it online? I hit my 10K spend on the premium card in December and have used my 2-4-1 voucher- would now like to downgrade until i’m close to hitting my 10K spend later in the year. Hi James – you need to call Amex to downgrade/upgrade you. It’s generally a pretty painless process, though. Can you get a companion ticket on the supplemental Premium Card? My partner has a premium card (she spends the most) and I have a linked/supplemental card to the account. We have spent a lot this year on our wedding, hitting the £10,000 in the first few months of membership. Can we get another ticket if another £10,000 is spent on my supplemental card of the account. I haven’t seen AMEX advertise this, is it something we need to call them about? We are spending last years companion ticket on the honeymoon flights F to HKG. The supplementary card won’t get you a Companion Voucher by itself, but it counts towards the spend threshold on the card it supplements. So, if your partner refers you for a second “full” BA premium plus card and then gets herself a supplementary card for that, you can use this method to get 2 x Companion vouchers in a year. Apologies for the edited reply – I’d done this before a couple of times myself, but my recollection of how I’d done it was wrong. Hi, i just clicked on the first link in this post and I applied for the free card (not realising then that it was a referral link; now I understand more about that). At the end of the process it said it was not able to approve and they would write to me. Is this normal? I’m a bit worried your referral allowance may be used up and this will delay me getting a card. Thanks. I think that’s Tom’s link, but even if he has hit the limit for the number of Points you can receive for referring others, I don’t think that will impact you getting the higher signup bonus for being referred, and it certainly won’t delay your application. I almost always get the same message as you when I apply for an Amex and always receive my card within a week, so hope that provides some reassurance! That’s good to know. I was feeling a bit unwanted! Hi Tom, great posts here I have learnt a lot! I currently have the free Amex and my anniversary ends in August, I’m confident I would have hit the £10k mark by then to them upgrade to the premier plus and get my companion voucher. When is the best for me to switch and upgrade to the premier plus, if I do it now and say cancel it in September, will I still get a refund of £195? Or am I better of waiting to upgrade maybe a few days before I hit my £10k mark and the. Downgrade straight after? Also, do you automatically get notified that you have hit the £10k and do they send your voucher my email / post? Or do you have to apply for it? 4. Companion Vouchers may only be used for bookings subject to availability and British Airways offers no guarantee that Card members will be able to book for a Companion on any specific flight. What determines availability ? If I can buy a ticket with money, does that mean it’s available ? Sadly not. It’s exactly the same as Avios reward availability (as it’s essentially an Avios redemption), so you’ll need to check on the BA Executive Club site/Avios.com for availability. If you’re unsure how to do that – just ask, personally I find avios.com the easier site for highlighting BA reward flight availability. Hi – sorry if this is a stupid question – I am new to Avios. So – I understand how to get the companion voucher and the guidance re the £195 upgrade/downgrade. What I can’t work out is – do I have to use Avios points to purchase the first/paid for flight though? I want to use this offer to basically book a business class flight to Thailand. The cost for 1 flight is c £2k. So – can I just buy that flight with cash and then use my companion ticket to get the second one free? Or do I have to have enough Avios points to ‘buy’ the first ticket with my points? If so – how do I find out how many Avios points I need for the flight? Or can I just purchase Avios points with cash and then use the points to purchase the flight? Help! You do indeed need to use Avios to book the first flight when using a Companion Voucher, it cannot be a cash flight. In fact, you need to book both flights at the same time via your BA Executive Club account. You will need to have the requisite number of Avios for the first person, and then you’ll be given the option to use the Companion voucher (which gets loaded to your account) for your second one. To find out how many Avios is needed for a flight, I tend to use the search function on Avios.com (this link should work), but there is also a search function on the BA Executive Club site, here (again, link should work but it’s sourced from when I’m logged into my account, so may not work for you. If it doesn’t, just look for the “Reward Flight Finder” tool on the BA Executive Club site). In terms of getting the requisite number of Avios, you can simply purchase them, but you would almost certainly be ill-advised to do so. 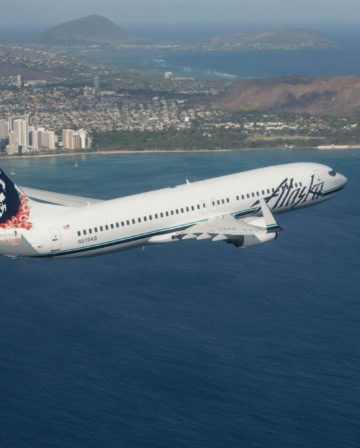 Avios are not good value to buy directly, and by the time you have factored in the cost of the paid-for Avios and the taxes for the flights, you’re unlikely to be getting a particularly good deal. 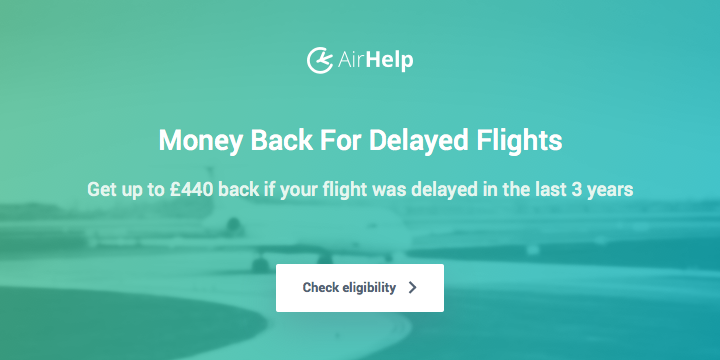 You’ll probably be paying a very similar price to the cash fare, while being hampered by reward availability and using up your Companion Voucher! You’d almost certainly be better advised in these circumstances to make use of one of the regular Qatar sales to Bangkok, and use the Companion Voucher on an intra-European flight that would not require too many Avios and have the taxes capped (£35 Economy return £50 in business) via the excellent Reward Flight Saver. To make best use of the Companion Voucher, you do ideally need to “build up” an Avios stash (not least through the bonus on and then spend via your BA Amex). That requires a bit of patience, but the good news is that this site is dedicated to helping you do that. Perhaps a good starting point is this article. Ok, quite a lot of info there. Just ask again if you need any more help, including advice on the exact booking you choose to make. Is companion voucher for round trip or one-way? Roundtrip – you can open jaw too if you want! You must depart from the UK though. I ha’ve about 50,000 aviso and have earned my companion voucher but looking at the conditions it’s must be a BA operates flight which limits the destinations. I am also finding that looking at long haul destinations as I have to pay the taxes I am not actually saving much. Would I be better off using my aviso and voucher in another way? Maybe short-haul? Was hoping to avoid that as flights have to be taken by Feb in my case and that is not the best weather wise in Europe! Any advice??? Hi Begona. I suggest your best option is to use the companion voucher on an intra-Europe Business Class return. For example, you could get a Business Class return to Moscow for 34,000-40,000 Avios plus £50. So using the companion voucher it would cost the same number of Avios plus £100, return for two people. In terms of the time of year – go to Moscow and embrace the winter, maybe! I have a quick question this this. I have about £2,000 left to spend to reach £10,000 and my anniversary is on the 01/12/17. If I was to switch to the Perrier plus card before this date and get the voucher do I have to book the travel when still holding the £195 card? Or can I transfer to the card get the voucher then transfer back to the free card before booking the travel as at the moment I don’t need to travel anywhere. You don’t need to book the travel while still holding the paid card. So, as you say, transfer to the Premium card (or “Perrier card”, as you rather wonderfully name it :)) just before or upon hitting the £10k spend, downgrade and get your refund, then use the voucher when you need to. So i had spent over £10k on the BA Blue card and upgraded to the BAPP. The voucher triggered automatically but is a 12 month voucher and the email I received implied that i had spent £20k (Only spent like £12k). Is this consistent with your experience? No, this is odd. You should have received a 2 year voucher on the back of spending £10k. I would call Amex to query this. Don’t you have to upgrade BEFORE hitting the £10k in spend for the voucher to be a 100% BAPP one? Certainly not in my experience Craig. The way I have done it in the past it to simply upgrade from the free card after going above £10k. Amex will then recognise a BAPP (paid) card account with £10k+ spend on it, and give you the Companion Voucher, valid for 2 years. That said, it’s about a year since I last did this, so the process may have changed. I have a question regarding booking award flight with Gold Card executive status. I can book any flight with double points- would that then qualify me to simultaneously use a companion voucher fir the same flight? Although I did not get an answer here, I have subsequently checked with BA- one cannot use the 2 in 1 voucher with using double points as a Gold member, hope this helps others. Im looking for someone to book me a flight only available on gold status with my points as a household account would you be interested in helping me? You can do that only on phone – call the BA GOLD helpline. Hi – hopefully just a quick question. I have booked a BA flight using the Amex Premium Card, it says I need to use this card when I check in at the airport. Is this correct? If so I would therefore not be able to downgrade Amex card. Sometimes you are asked to show the payment card when checking in. Often you aren’t. Even if you cancel the BAPP card and downgrade, I see no reason why you can’t hang onto the invalid, cancelled card to show at check-in. Has anyone shown a cancelled card at check in for a reward flight and been told that it is cancelled and therefore doesn’t meet the rules. This presumes the check in agent has the means to determine if it is still valid! Seems unlikely but may be possible. Ba asks you to hold on to the card you use to book a flight – it’s a form of checking ID I think, so it’s not just for reward ticket. However only once in past 15 yrs have I been asked to show a card. So if you are kind of nervous – hold on to the cancelled card but it has nothing to do with your reward ticket as it will continue to be valid. I’ve got a Virgin Atlantic Amex. Can I also apply for a BA Amex and keep both cards? Or can you only have one Amex at a time? Yes you can have more than one American Express card. Besides, your Virgin Atlantic cards should be provided by MBNA, which is an entirely different issuer / bank from American Express. If I do the applications online will I still be able to benefit? Firstly, after the upgrade will the voucher kick in. And secondly, after a week or so if I apply back to blue online will the refund kick in automatically? I’m not really sure I follow (nor am I really the Amex BAPP expert here). Do you have an existing card with 10K of spend already that you’re trying to upgrade for a quick voucher? Or are you starting from the beginning with a new application and want to pick up a referral bonus or cashback? Sorry for lack of clarity. I Currently have the blue card with over £10k spend. I’m going to upgrade to black card online hoping the voucher kicks in and that it doesn’t open a second account. My main question is following this, if I downgrade online back to blue in 1/2 weeks will the refund of the pro rata fee apply? You mentioned phoning to get refund in previous comment so I didn’t know if refunds were only issued by phone. No worries. I recommend that you should handle all of this over the phone to avoid any misunderstanding. Hi Adam – The Amex online chat thing should be able to help I think, if you’re more comfortable using that than the phone. I’m on the blue card and am about £2k away from hitting £20k but need to spend it in 3 weeks!! Don’t want to put that kinda pressure on my bank balance so stumbled across this article. Just wondering if you had any luck with the upgrade, companion voucher, and subsequent refund? Hi Stephanie. Yes, it works absolutely fine – I have done it several times. Just call Amex to upgrade you, and you’ll instantly get the Companion Voucher as your spend is already over £10k. Once the Companion Voucher appears in your BA Executive Club account, you can then downgrade and get a pro rata (possibly full) refund of the annual fee.